Friends! Our Everyday Cooking cookbook is out and we wanted to thank everyone that has (or will) order our cookbook! Hooray! 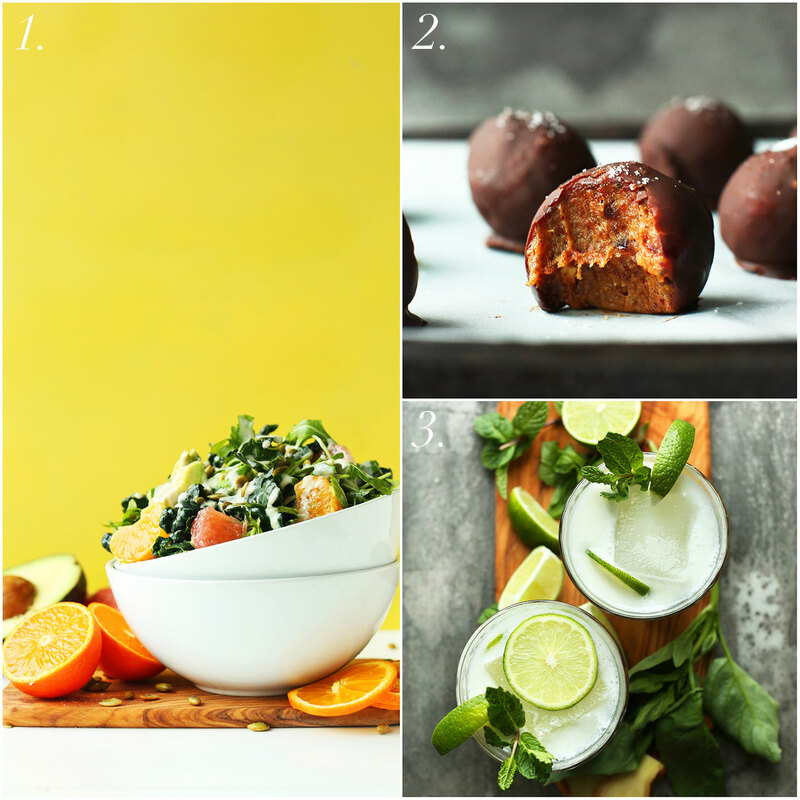 Purchases for a limited time include a FREE Recipe Bundle with 5 exclusive BONUS recipes! It’s true! 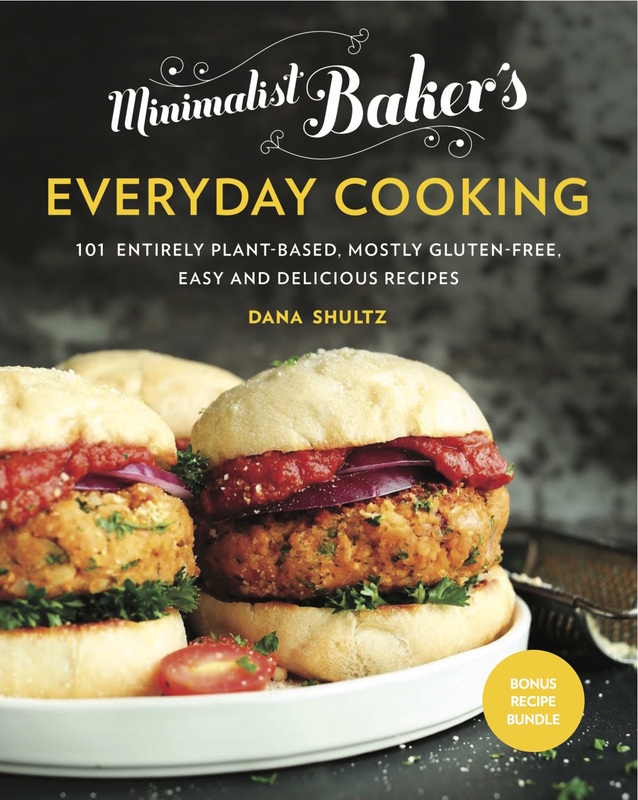 When you place an order (or pick up our book in stores) through May 10, simply email us a copy of your receipt and we’ll send you the 5 bonus recipes (in PDF format). The recipes aren’t included in the cookbook and won’t be seen anywhere else! And not to worry if you’ve already ordered the book (thank you!) – the offer includes you, too. 1. Citrus and Avocado Detox Salad – A 10-minute salad to throw together when you’ve indulged a bit too much the day before. It’s citrusy, light, satisfying, and tossed in my favorite tahini dressing. This is the perfect plant-based entrée or side when you’re craving something filling with some serious health benefits. 2. Raw Chocolate Caramels – These easy candies are my ode to dates. Date caramel is dunked in DIY raw dark chocolate and topped with sea salt. A salty-sweet flavor bomb that’s naturally sweetened and ridiculously delicious. 3. The Island Girl Cocktail – A cocktail that’ll transport you straight to vacation mode with all its beachy vibes. Sweet, creamy coconut milk is offset with ginger, lime juice and fresh herbs. This is the perfect cocktail to enjoy on patios this spring and summer! 4. 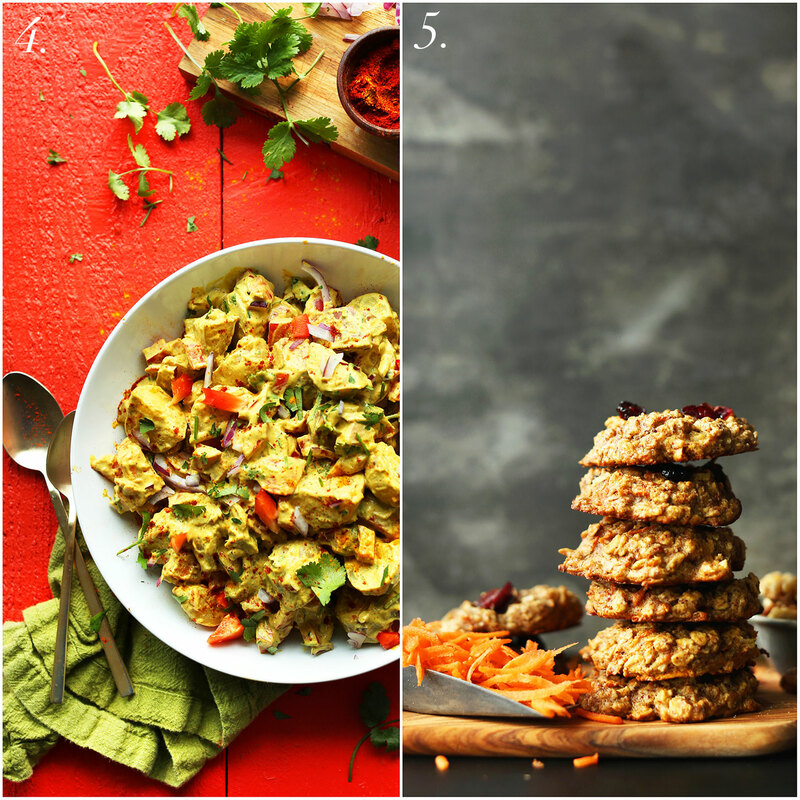 Curried Potato Salad – All the flavor of a samosa rolled in a vegan potato salad. Creamy, spicy, slightly sweet, and insanely delicious. This is the only side you need for all your summer BBQs and picnics. 5. Carrot Cake Breakfast Cookies (Vegan + GF) – Imagine this: A breakfast cookie infused with all the flavor of carrot cake, topped with almond butter and sunflower seed “sprinkles.” It’s my new solution for ‘Oh crap, I ran out of time but still need to have breakfast‘ kind of mornings. Vegan, gluten free, naturally sweetened, and surprisingly healthy! Download, make, and enjoy these exclusive recipes! I already purchased the book, can I still get this bundle? I’m pre-ordering the book. Does that mean I have to wait to get this bundle until the book is released? No way! You’ll get the bundle as soon as you follow the instructions above! I’m planning to (or have) purchased this book in stores, can I still get this bundle? Absolutely! We’ll even give you a virtual hug if you support your local bookshop! I never got an email, where’s my bonus bundle? Review and delivery can take up to day, so if you’re not seeing it, check your spam filter or other folders (such as the “Promotions” tab in gmail). I can’t find my receipt, can I send some other verification? A screenshot of the purchase or order details will suffice! I’m having trouble downloading the file. It’s a little bit larger than a typical download, so it may just be taking a couple minutes. If it’s still not showing or you’re getting an error, trying another browser will probably help. We use and usually suggest Google Chrome.